Mr. W. W. Law was the founder of the King-Tisdell Cottage Foundation and leaves as part of his legacy The King-Tisdell Cottage and the Beach Institute African Cultural Center. Living the Legacy is the central theme of the 2013 Savannah Black Heritage Festival scheduled for Feb. 1-23, 2013. 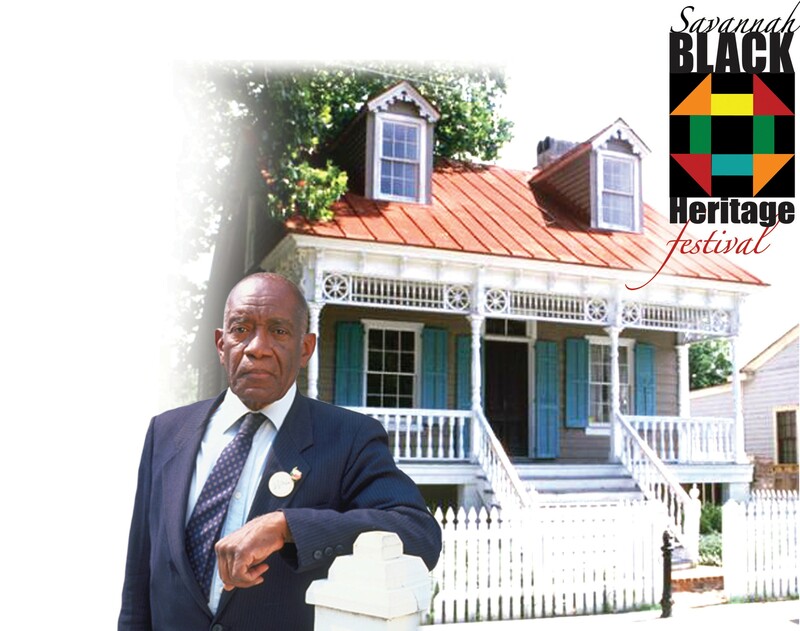 Selected programs will be presented that pay tribute to the late Westley W. Law, historian, preservationist, Civil Rights leader, and founder of the Savannah Black Heritage Festival. The festival is presented by The City of Savannah and Savannah State University, and all events and activities are free of admission and open to the public. Each year, the festival presents activities for every age and interest. Cultural education and exposure to the performing and visual arts, as well as ethnic cuisine, crafts, fun and family are emphasized throughout the celebration. Great music of every genre, dance performances, national and regional recording artists, local youth talent showcases, historic tours, visual art exhibitions by internationally acclaimed and local artists and sculptors, the W.W. Law Lecture Series, spoken word and dramatic productions are all included on the schedule. In addition, educational opportunities are provided through a Health and Wellness Fair, culinary arts activities and youth programs. The Cleo Parker Robinson Dance Company of Denver, CO, will be the featured dance group for this year’s festival. As a part of the “Legacy” theme series, jazz singer and pianist Freddy Cole will be presented in concert on Wednesday, February 20th as a precursor to the Saturday evening performance of “Unforgettable Nat King Cole – The Man and His Music.” The Nat King Cole piece will be the 3rd production presented at the festival from the National Portrait Gallery’s Cultures in Motion Series. The production features musical singer and Broadway actor/ director, Michael McElroy of Big River and Rent fame. Grand Festival Day, a family-fun day of activities and top entertainment, is one of the highlights of the festival and will be held at the Savannah Civic Center on Feb. 9 from 10 a.m. until 9 p.m. In addition to the variety of activities and performances, food and retail vendors are also on hand with a wide variety of cuisine, goods and services. The 2013 festival will be the 14th one produced by Savannah State University and the 24th sponsored by the city. For more information, call (912) 358-4309 or visit www.savannahblackheritagefestival.com for updates.